Plasma grow lights for plant lighting are induction grow lights based on sulfur and metal halides. Plasma grow lighting generates more full-spectrum nutritional light energy than any other grow light yet produced. Plasma lights are the newest type of grow lights to hit the hydroponic and indoor gardening market that closely mimics the spectrum of the sun having an almost perfect 100 CRI (color rendering index). 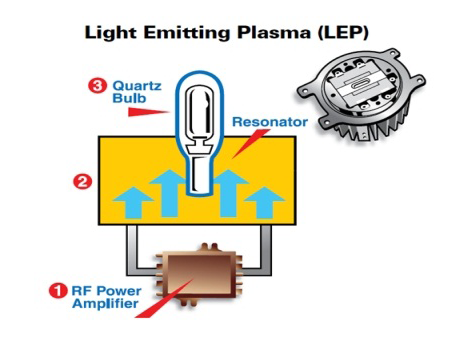 Lighting emitting plasma (LEP) bulbs are incredibly energy efficient, low wattage solid-state bulbs that emit full spectrum light from ultraviolet to infrared all with no moving parts or electrodes like conventional bulbs. Since they are at such a low wattage, plasma lights are not dimmable but are offered in two colors more weighted to the red and blue spectrums respectively. The plasma light engine works with the use of two main components, the magnetron or RF (radio frequency) driver that creates an electrical field and the light emitter. 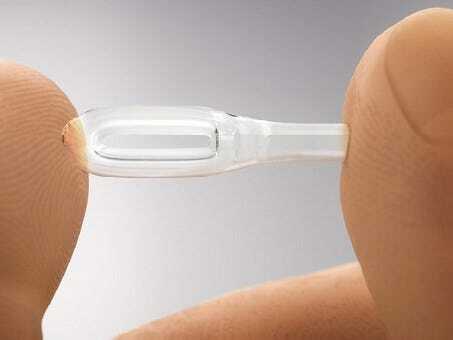 The emitter contains a gaseous mixture that determines the color and brightness of the generated light. Using induction, the two components are not wired directly but instead create light by the generated electric field that ionizes the gas causing a column of plasma within the light emitter to radiate visible light.